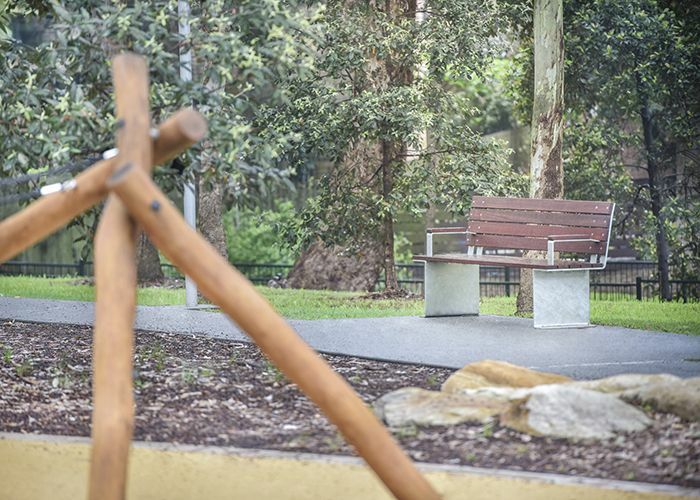 Inspired by European industrial style furniture, the City of Parramatta has collaborated with Street Furniture Australia to bring a custom suite to a refreshed parkland. 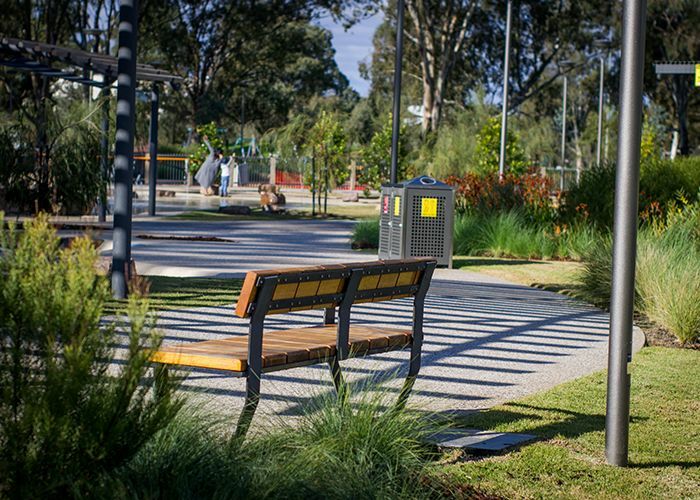 As population density increases in Epping in Sydney’s north-west, Boronia Park required a design re-think in line with its Master Plan and new urban character, says Erin Hrouda, Open Space Officer with the Council. 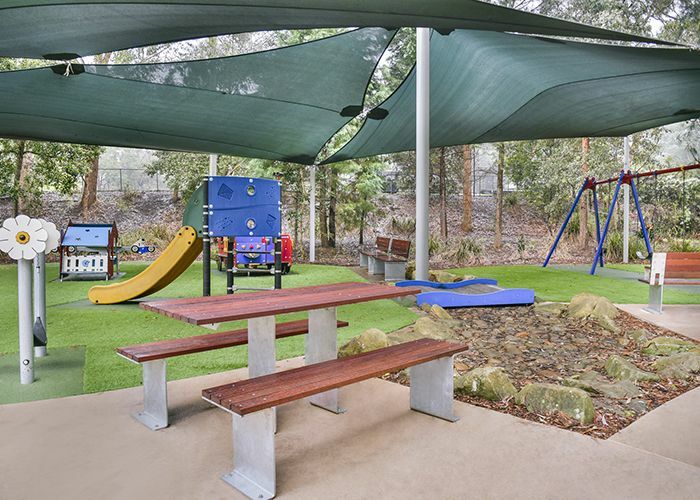 The popular 4.9 hectare park received a facelift and upgraded facilities through a multi-million dollar joint NSW State Government funded program. 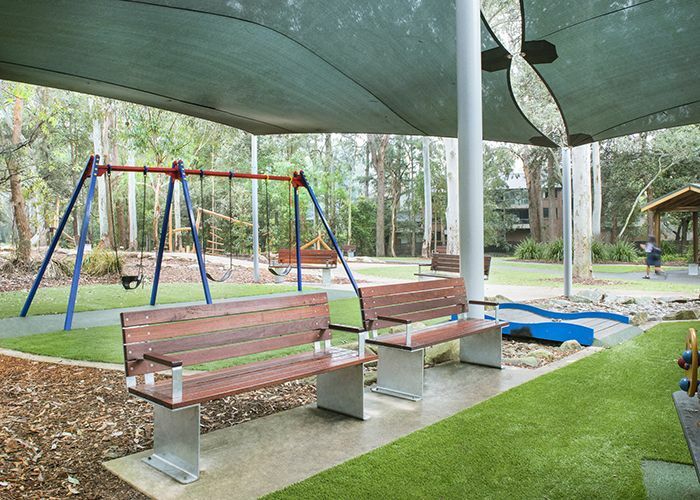 The update included a new circuit path and seating, additional playground equipment and soft-fall, picnic shelters and tables, barbecues, improved access and lighting. 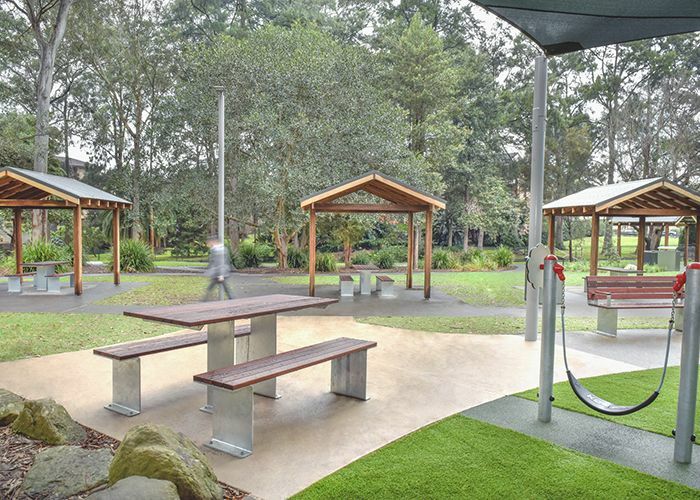 Hrouda worked with Street Furniture Australia to create a site-specific range of furniture for the park. 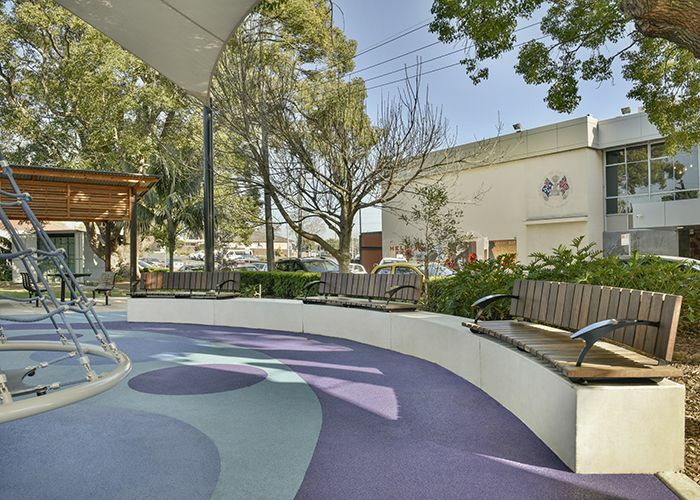 “The brief called for a unique furniture range, more urban in nature than what had previously been installed in the park, using quality raw materials, like timber and steel. It needed to be practical, robust and easy to maintain,” he says. “Accessibility was also important. The picnic settings were designed to be wheelchair accessible from both ends, without looking any different. The bench heights were adjusted to ensure the tables remained at a comfortable height for all users. Hrouda says he was inspired by furniture he’d noted while abroad, but preferred to work with an Australian manufacturer. “I really liked the chunky, industrial yet sophisticated outdoor furniture I had seen while travelling in Europe, particularly Spain. However, I wasn’t keen on importing furniture from overseas for use in our project, with the maintenance issues and expense. “Ideally I needed a local company that could design and manufacture a range which incorporated these design ideas with robust and responsibly sourced materials. 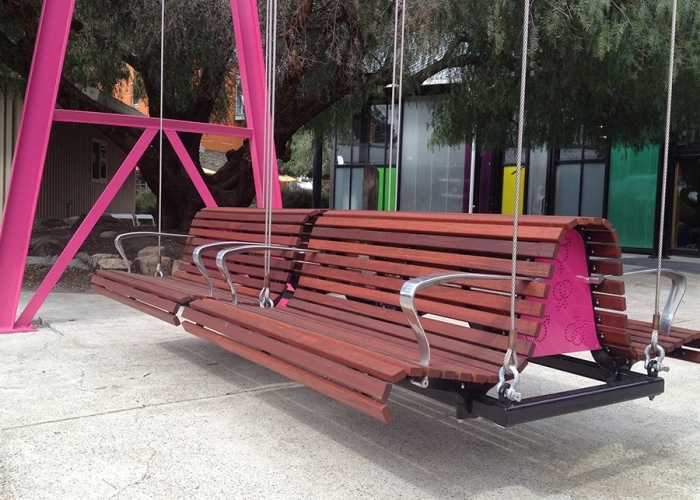 “The Street Furniture Australia design team were fantastic. They interpreted the ideas I had and were able to provide expertise in aesthetics, proportions and requirements for safety and accessibility. They had a strong understanding of the capabilities of the materials and were responsive to feedback. “A big thank you to the team for the awesome sketches, design guidance and ability to figure out just what I wanted. They were efficient and responsive to my design changes, provided multiple options and made many tweaks to the design – and remained an absolute pleasure to work with at all times. Hrouda says the already popular park is seeing more visitors since its transformation. 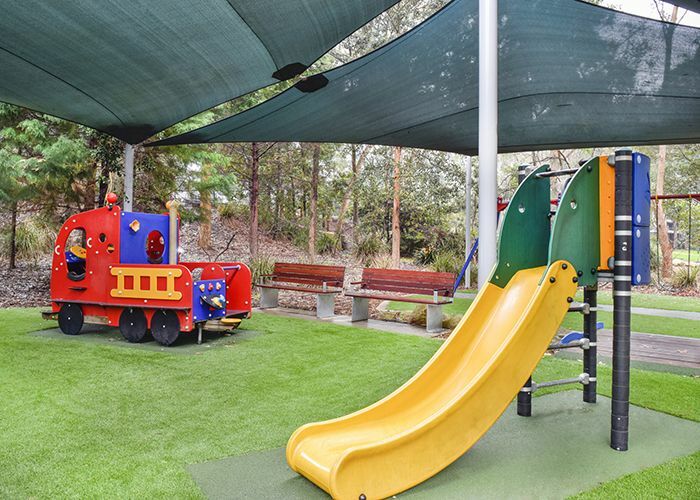 “You only need to visit Boronia Park to see how the upgrades are being received by the community. 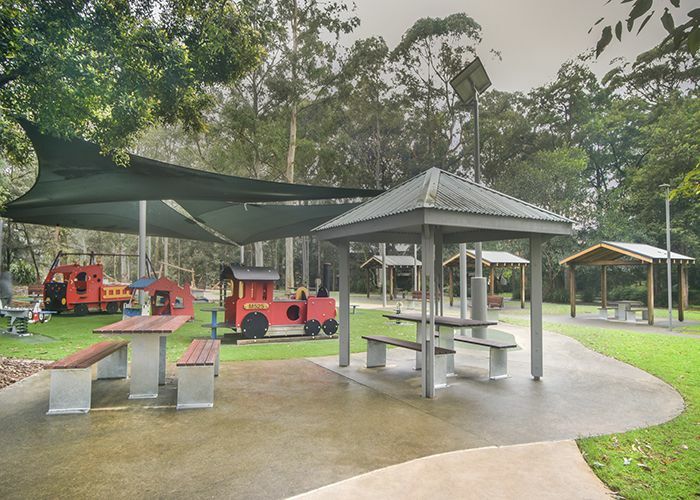 Park usage has increased, particularly by parents with their young children using the playground and picnic area. “The circuit path has also been a popular addition, encouraging residents to use the park for exercise. 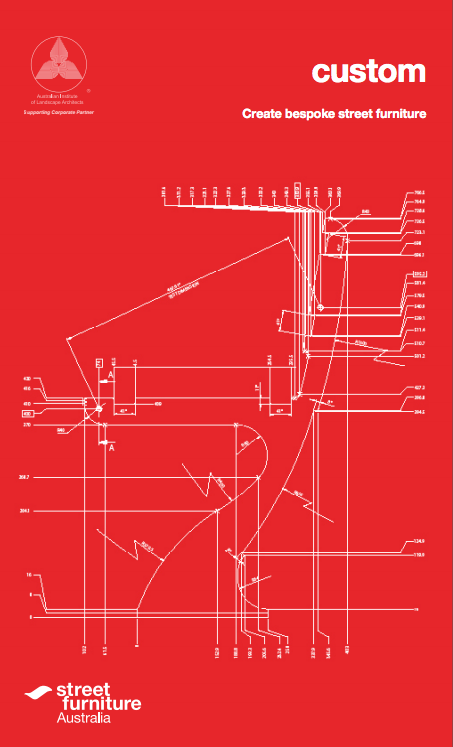 For more information on custom design, enquire now or download our Custom Brochure.